MEGA UPDATE: Our new iCade list is available right here at this link. Go check it out! Turns out that assembling an iCade takes less time than finding good games for it. As I put the finishing touches on the monstrosity, I finally began thinking about what I would do with it once it was together. I had no clue. This is probably why my girlfriend hates me so much, but I suppose that’s neither here nor there. If you’re familiar with our message board, then finding games that support the device is as simple as throwing in a search term. Sadly, the list our community is putting together isn’t showing up in a simple Google search. With this lone write-up, I’m hoping to kill two birds: I want to give everyone a solid starting point with their new machines, while also pointing out that our dudes in the trenches are doing a great job listing and evaluating the titles. 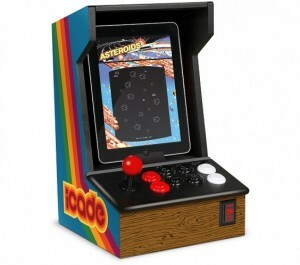 So, yeah, you’ve got an iCade and need some games. Here’s a handy list of a few, drawn from our iCade support thread. Just real quick, I want to spotlight Velocispider, Match Panic, and Super Mega Worm — all three of these games are greatly enhanced by the joystick and buttons that the iCade provides. Super Mega Worm in particular feels much more visceral, precise, and becomes much more entertaining as a result. Seriously, I’ve spent more hours with it today than I have since its original release in 2010. Compared to the amount of games on the App Store, the game release line-up is still pretty thin, as you’ve probably observed from the above list. Our collective brains sincerely hope more studios get into the iCade and support it where it makes sense, as it really does add a previously unexplored layer of play in new and especially or older titles. Fingers crossed for a The Blocks Cometh [$.99] update. You know it makes sense, Halfbot! UPDATE: Added several new games, including titles from Llamasoft and Orange Pixel. If you’re a developer, feel free hit us up via our Tips line. Let’s get your game on here!